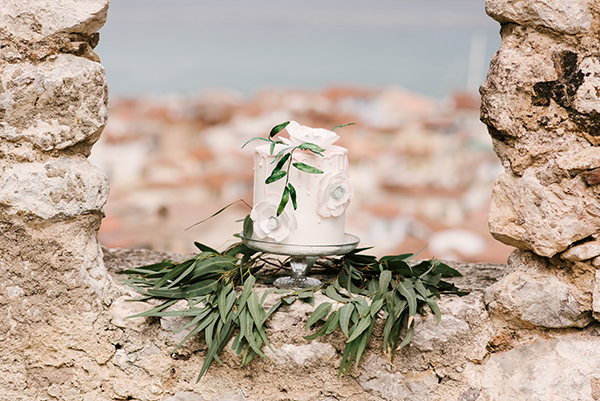 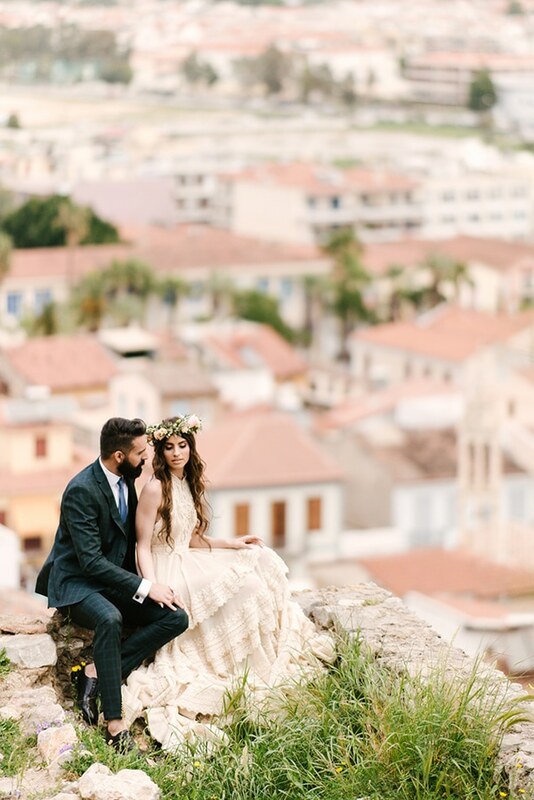 Today we’re travelling in beautiful Nafplion, in one of the most romantic places in Greece. 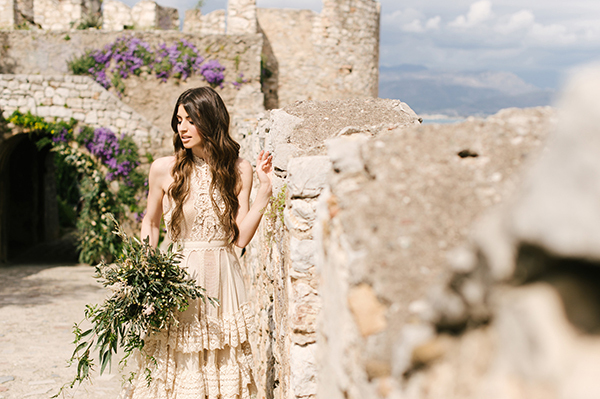 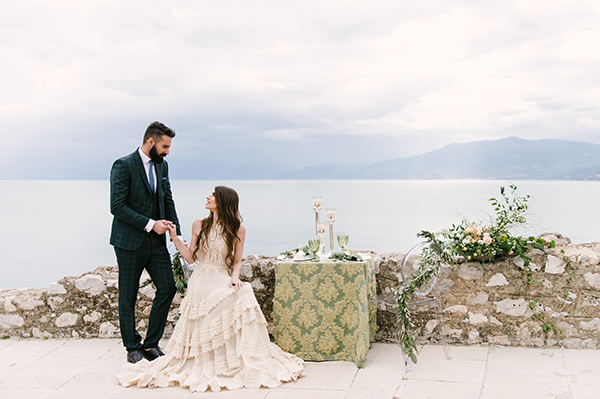 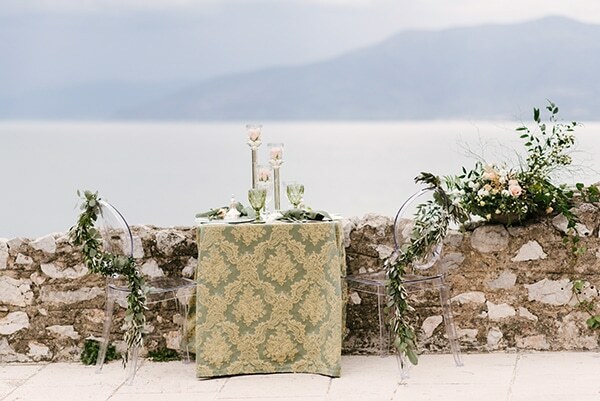 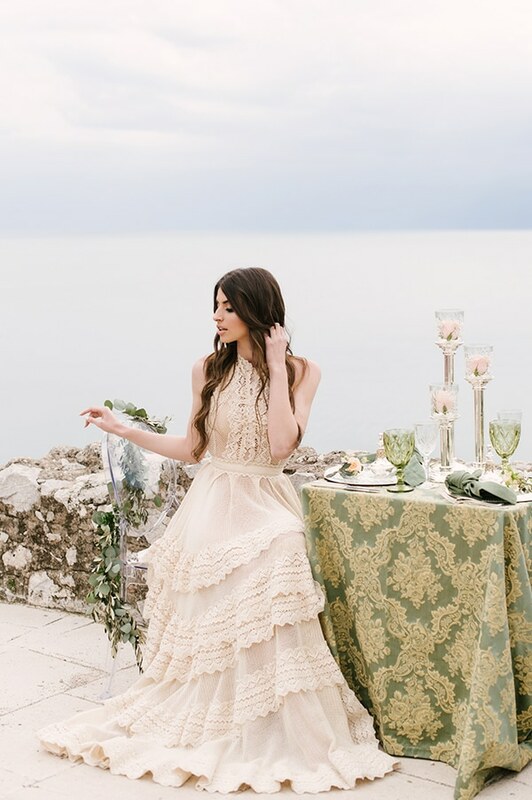 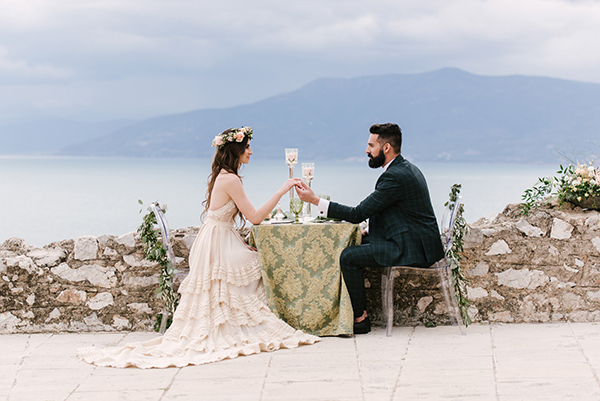 An impressive castle on top of a hill, was chosen for a bohemian concept which was combining classic and modern details with Greek elements. 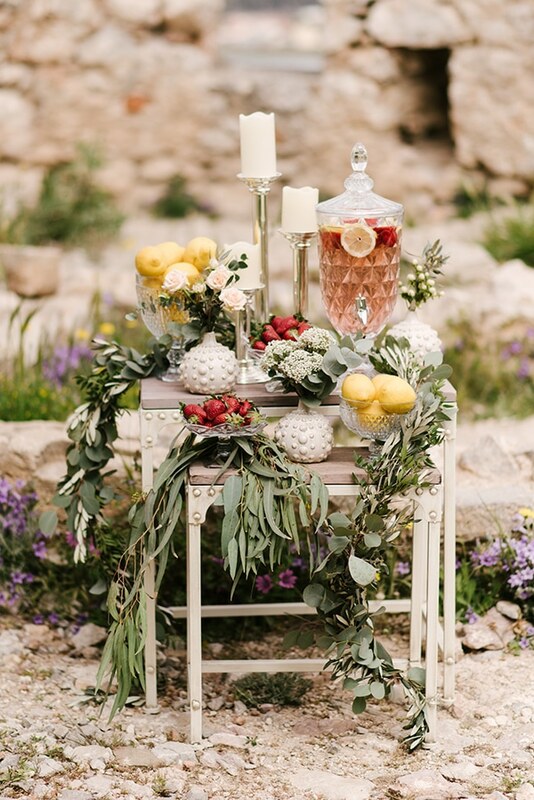 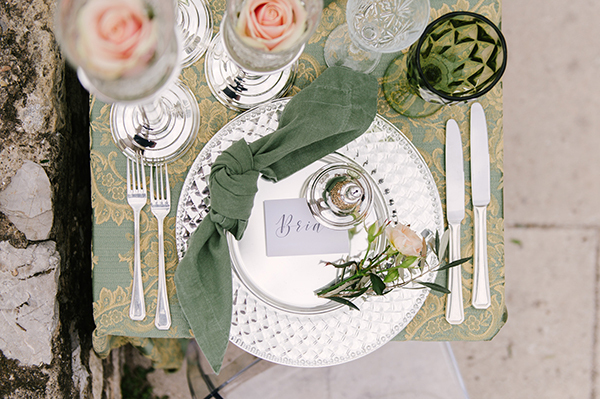 The venue was adorned with fresh bouquets of flowers and olive leaves, candles and a small table with impressive metallic and crystal utensils. 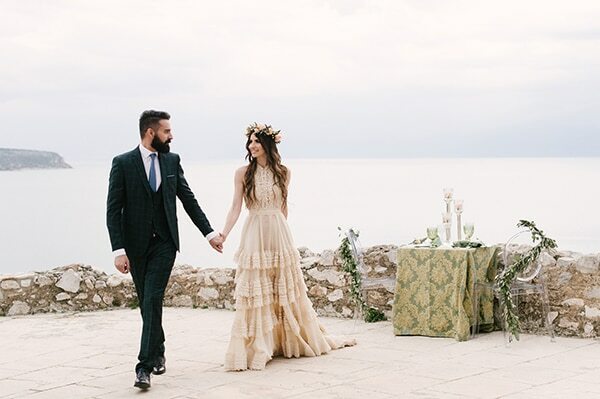 A couple dressed in the most beautiful creations by Atelier Zolotas completed the romantic setting. 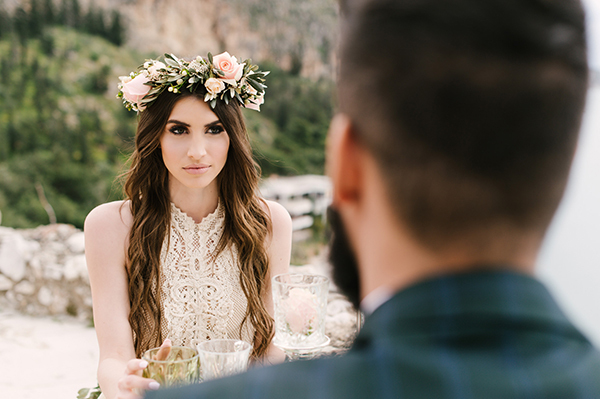 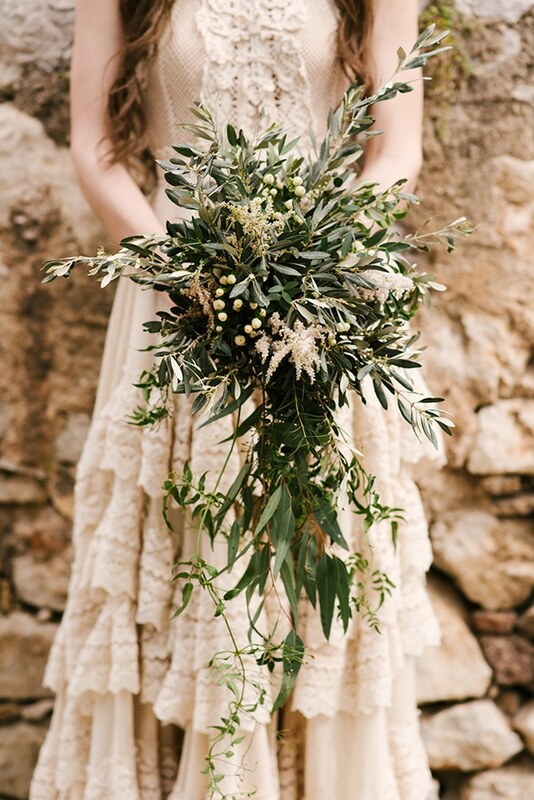 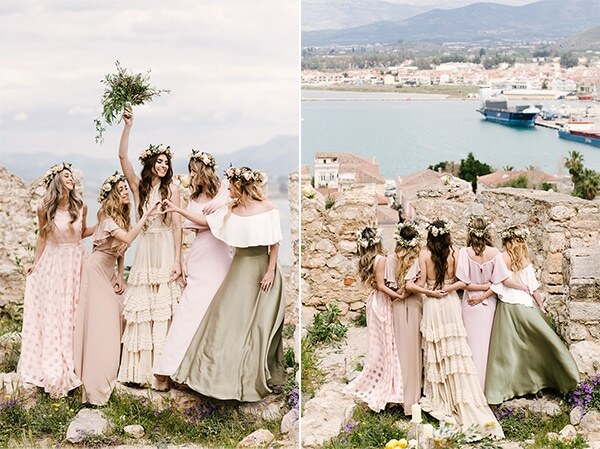 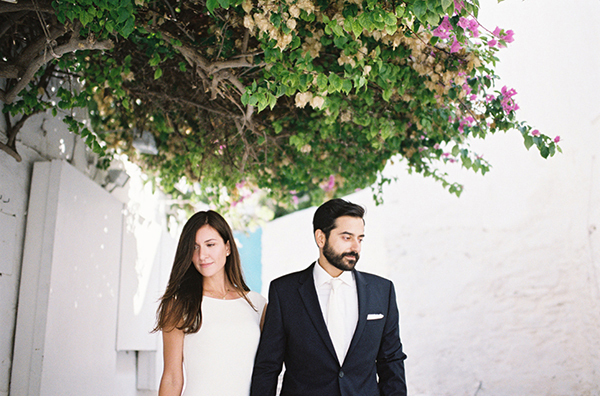 The bride looked like a fairy in her beige, Ancient Greek wedding dress and her gorgeous flower crown. 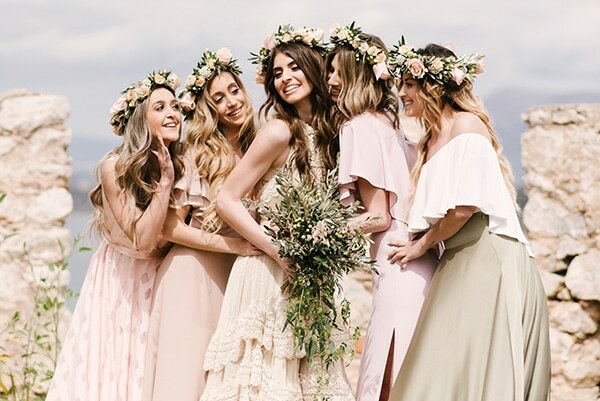 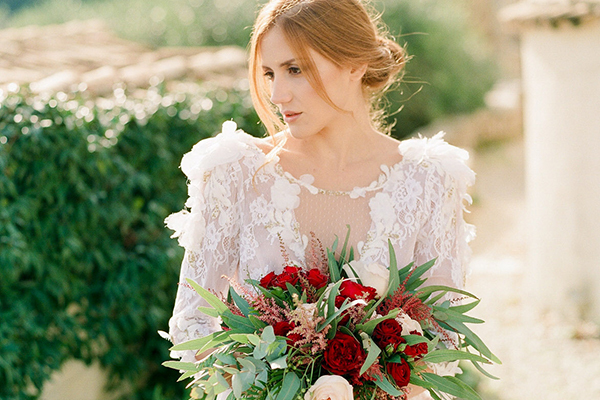 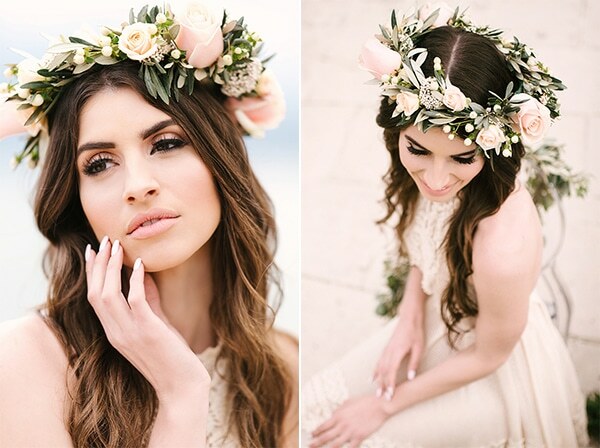 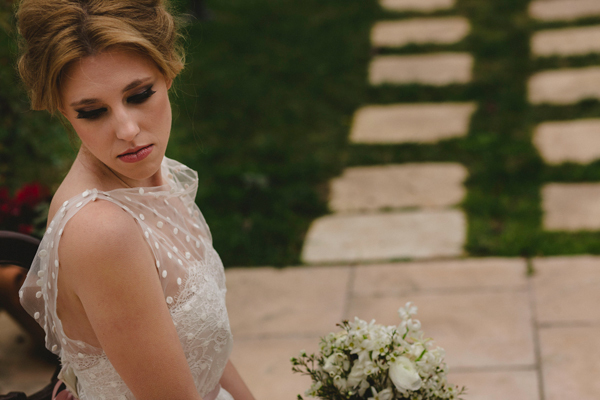 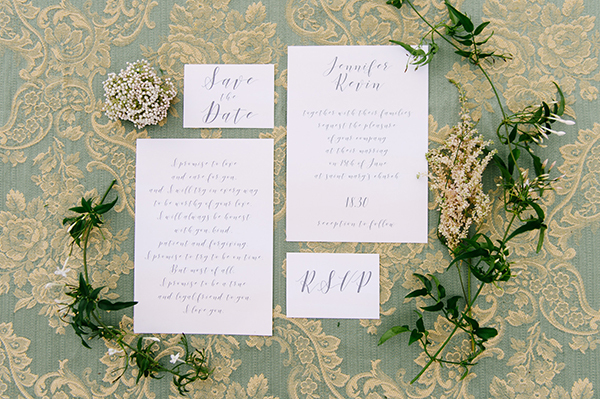 Feast your eyes on all this prettiness by Phosart Photography & Cinematography!